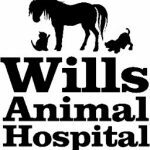 Wills Animal Hospital is looking for an Associate Veterinarian to join our growing team. We are a 7 Veterinarian, Small Animal (85%) and Equine (15%) Hospital in Owensboro, Kentucky. We are a progressive, client and patient-oriented, well-equipped hospital with trained staff. Our soon to be 9,000 sq ft facility is equipped with 7 exam rooms, digital radiography, surgical laser, endoscopy, ultrasound, in-house laboratory, 2 Companion therapy lasers, as well as a veterinarian who is certified in Equine and Small Animal Chiropractics. The ideal candidate will join us full-time in a long-term capacity. The willingness to do some large animal work is required. We are looking for a hardworking, compassionate person who is ready to jump into our fast-paced clinic and be a part of a team. Owensboro is a town of approximately 70,000 people, located 2 hours west of Louisville, Kentucky and 2 hours north of Nashville, Tennessee, on the banks of the Ohio River. We are known for our many festivals, parks, museums, music, restaurants, and being an unparalleled place to raise a family. Owensboro offers incredible school systems as well as 4 colleges and a state-of-the-art regional hospital. Benefits include a competitive base salary, 401K, paid vacation, as well as health, life, dental and supplemental insurance. or via email to willsanimalhospital@yahoo.com. Or please call at any time to speak with the Practice Manager, Lisa at (270) 684-3201.